I see life as a roadside inn where I have to stay until the coach from the abyss pulls up. I don’t know where it will take me, because I don’t know anything. I could see this inn as a prison, for I’m compelled to wait in it; I could see it as a social centre, for it’s here that I meet others. But I’m neither impatient nor common. I leave who will to stay shut up in their rooms, sprawled out on beds where they sleeplessly wait, and I leave who will to chat in the parlors, from where their songs and voices conveniently drift out here to me. I’m sitting at the door, feasting my eyes and ears on the colours and sounds of the landscape, and I softly sing – for myself alone – wispy songs I compose while waiting. 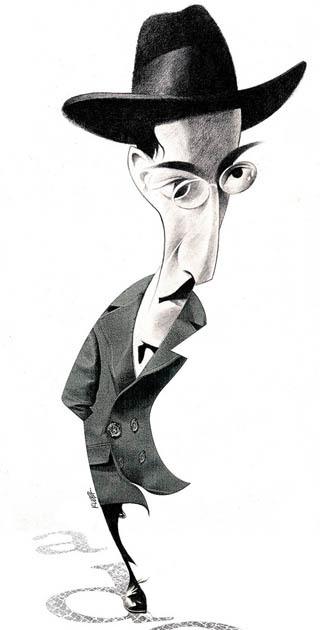 Fernando Pessoa (1888 – 1935), was a Portuguese poet, writer, literary critic, translator, publisher and philosopher, described as one of the most significant literary figures of the 20th century. The Book of Disquietude is the “factless autobiography” of Bernardo Soares, one of the 72 literary personae with which Portugal’s greatest poet Fernando Pessoa created the theater of himself. Conceived in 1916, Soares is, Pessoa declares, “a mutilation” of his own personality.